Maurice Ravel’s incomparable skill in orchestration and command of orchestral colour is evident both in his own works and in his orchestrations of music by other composers. His versions of both Chabrier’s vibrant Menuet pompeux and the colourful commedia dell’arte figures of Schumann’s Carnaval were commissions for ballet, while new life was given to his late friend Debussy’s Sarabande et Danse at the request of publisher Jean Jobert. 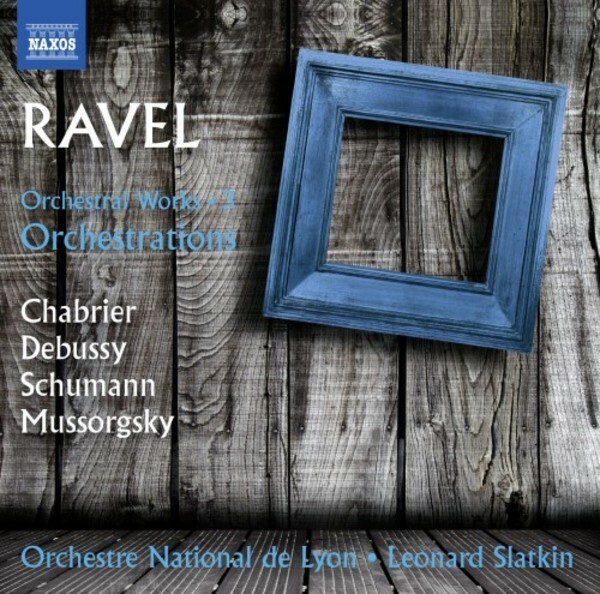 Ravel’s iconic orchestration of Mussorgsky’s Pictures at an Exhibition makes telling use of a large orchestra, vividly depicting scenes that range from the playful to the macabre. Internationally renowned conductor Leonard Slatkin began his musical studies on the violin and studied conducting with his father, followed by training with Walter Susskind at Aspen and Jean Morel at The Juilliard School. He was named music director of the Orchestre National de Lyon in its 2011–2012 season. His over a hundred recordings have brought seven Grammy Awards and more than sixty Grammy Award nominations. He has received many other honours, including the 2003 National Medal of Arts, France’s Chevalier of the Legion of Honour and the League of American Orchestras’ Gold Baton for service to American music.